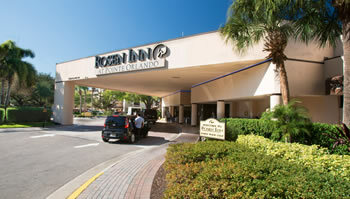 Rosen Hotels & Resorts owns and operates seven quality properties in the Orlando destination market. We value our guests and strive to provide each guest with an extraordinary stay. In all, Rosen Hotels & Resorts has over 6,300 rooms and suites in the epicenter of Orlando’s tourism district. Rosen Hotels & Resorts family of associates’ is highly recognized and respected in the hospitality industry for its unwavering dedication to quality service. We’ve been awarded numerous hospitality awards for our unsurpassed and extremely rare employee longevity paired with a reputation for upholding high standards of quality. Our recognition, dedication to our guests and fellow associates, and high quality of service has fueled our growth since 1974. This total commitment to providing exceptional hospitality products is pledged in our company’s mission statement. Our seven hotels offer excellent accommodations, meeting and special event facilities, exceptional catering and dining options, and recreational amenities. Millennium Technologies, Rosen Hotels & Resorts’ subsidiary information network and telecommunications group, creates a synergy that maximizes operational efficiency. President Harris Rosen’s high standard of quality guides Rosen Hotels & Resorts and its team of experienced professionals in fulfilling our ongoing commitment to guest and associate satisfaction. Rosen Hotels & Resorts is patterned on the vision and principles of founder, president, and CEO, Harris Rosen—a total commitment to unwavering honesty and integrity, the security and wellbeing of associates, high quality hospitality products, exceptional guest services, unmatched value, the continuing improvement of the industry, and ongoing enhancement of the community.